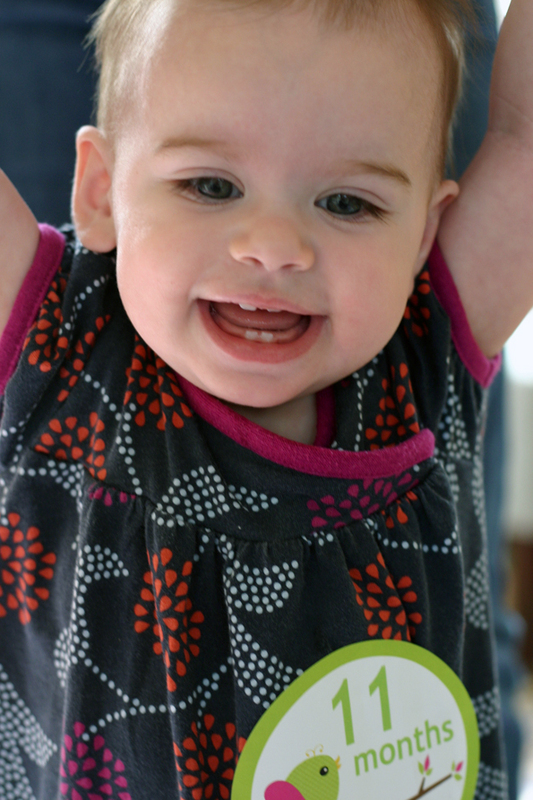 Nora Clementine: 11 Months on Earth! NORA IS 11 MONTHS OLD: Nora is trying to walk, but mostly just sitting down slowly from a standing position. She likes her pink car, Goodnight Gorilla, blueberries, trying to turn on the radio, getting in the cupboards, That’s Not My Mermaid, and her dad’s Appalachian Trail hat. She does not like when people take away the Boogie Wipes.